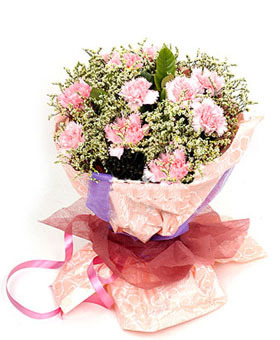 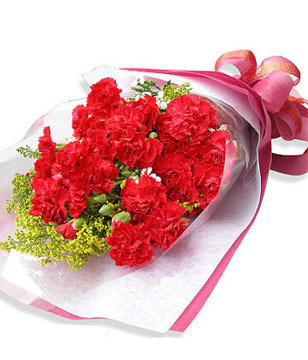 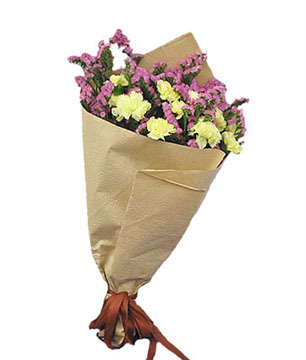 ﻿ China Flowers Delivery : 19 Pink carnations, with baby’s breath and solidago. 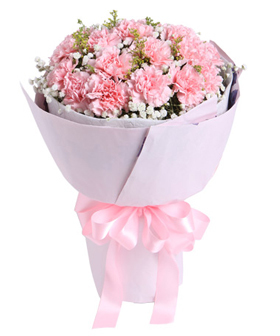 19 Pink carnations, with baby’s breath and solidago. 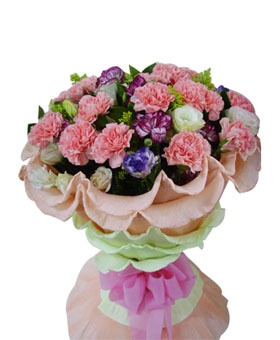 Circular packaging.